We've seen some terrific TV commercials in our time, some of them from Nintendo, but this new offering for Kirby: Triple Deluxe is right up there with the best. It's utterly ludicrous, and that's why we love it. This is less than 25 seconds of pure ridiculous brilliance. Watch it — it may just make your day. Thanks to Lance168 for the heads up. Haha, that was indeed, very epic. Nice! Reading those lyrics with an '-A' at the end made me think of Metallica though. Hahah, it's awesome I already preordered my copy... now just the wait!! But I'll play the hell out of it when Smash releases in June. Yeah June because I say so. I really hope this pushes sales for the game. @kuribo4 I hope you're right. I'm so excited for this game!!! Verdi and Kirby were made for each other. Hah, my brother and I used that song once on another game. I played this at Wondercon and its awesome!!!!! @Giygas_95 What song is it? It's the Dies Irae from Verdi's Requiem. One of the most famous pieces of music and probably his most regarded choral work. So somewhere in the dungeons of Nintendo headquarters a marketing guru does still exist. That commercial makes me want this game NOW! 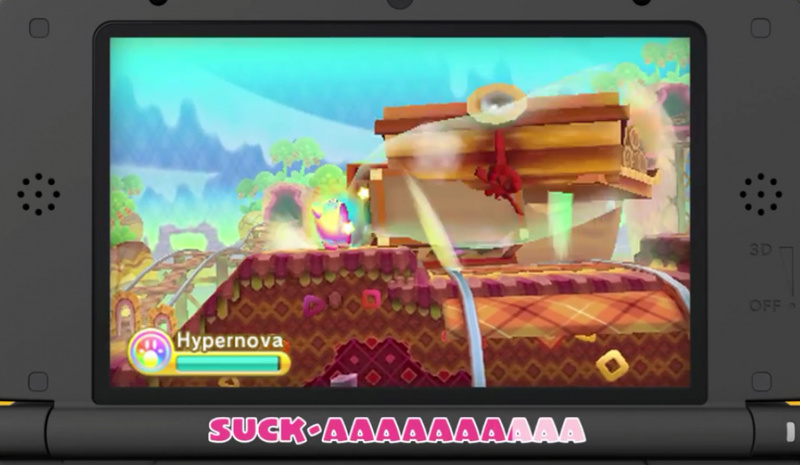 Ok. Nintendo has definitely gotten better at their TV ads. My LIFE-A, A LIEEEEE-A, I NEEEEEEEEEEED THIS GAME-A! All right, pinky... you'd better be great. This is brilliant, I only wish there was a full version seeing as they went to the trouble of recording this epicness. I love this commercial. I was laughing so hard when I watched it over the weekend. Nice, retro-style commercial! I have not caught it on TV yet. I've preordered this game, so can't wait for the release! For such a cute character, Kirby is perhaps one of the deadliest of all...I mean he practically inhales entire landscapes!